Data collected by the 9 On Your Side I-Team shows black juveniles are more likely than adults to be injured in police use of force incidents. 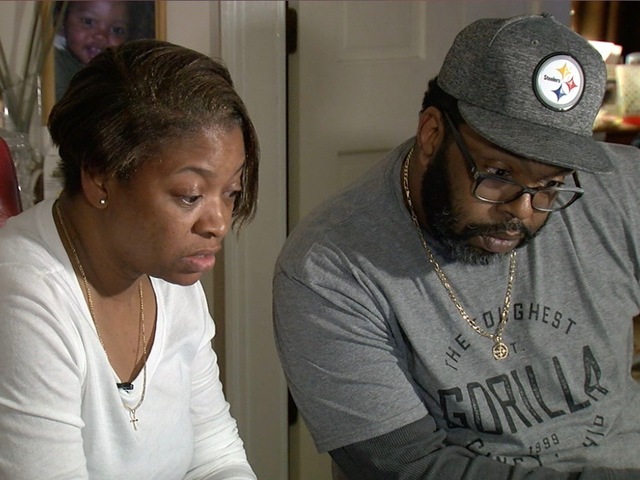 CINCINNATI - He was wrong and then he was wronged: That’s how the parents of a 14-year-old jolted by a Taser view the 2017 incident that left their son with a broken clavicle and a delinquency finding in juvenile court. WCPO’s I-Team spent seven months analyzing reports and video from 32 local departments, compiling data on 2,500 use of force incidents since 2015. 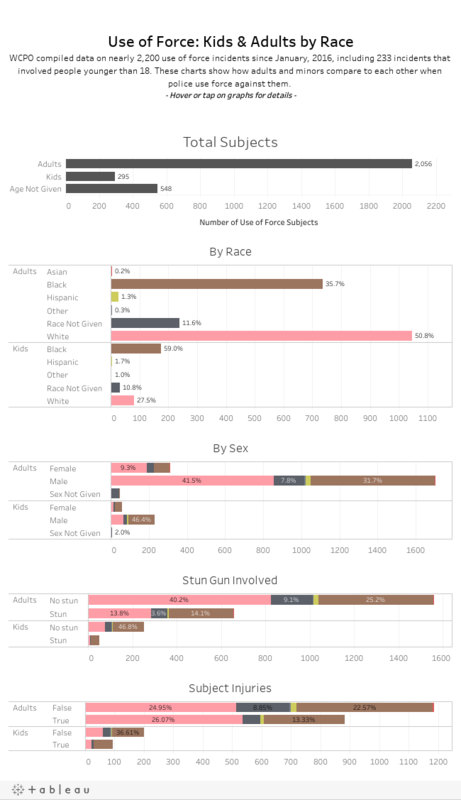 Our analysis showed the use of force is rare: It happened in less than 1 percent of all police runs in 2017. But there is a wide variance in how local departments measure and regulate the use of force, a disparity that has allowed questionable police behavior to go unchecked. 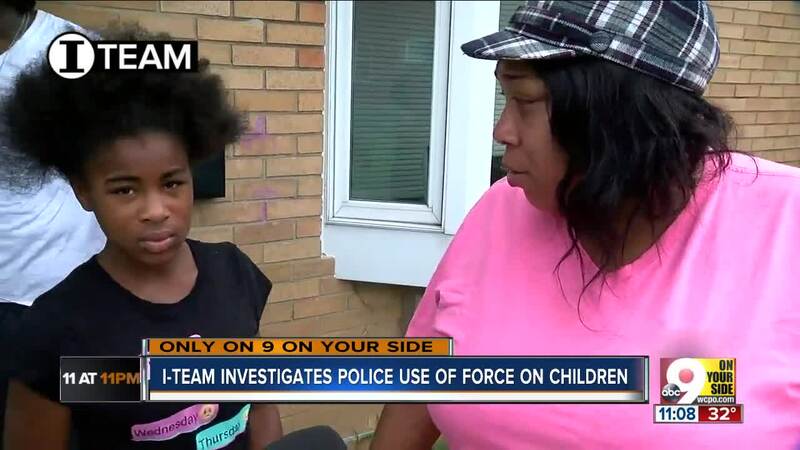 RELATED: See the rest of the I-Team's six-part series "Forcing the Peace"
The I-Team also found differences in how force is used against juveniles. For one thing, it happens less frequently for teens than it does for adults. Since 2016, WCPO’s data shows 1,556 use of force incidents involving people over 18. That’s more than six times the total for juveniles. The Cincinnati Police Department is a recognized local and national leader in progressive law enforcement strategies and takes pride in providing fair and impartial police services. At times our officers use force in order to subdue suspects that fail to submit to lawful arrests, or in an effort to defend ourselves or citizens from harm. The Cincinnati Police Department thoroughly investigates these incidents and when our officers fall short of our standards we take corrective action to address deficiencies through training and progressive discipline. It should also be noted that the use of force to gain compliance or in defense of harm against our officers or citizens is extremely low and the expectation that all use of force incidents are documented and investigated is a Department requirement. The I-Team reviewed studies published since 2016 that demonstrate officers are far more likely to use force against blacks and Latinos than whites -- and that includes children. But the studies did not analyze incidents in the Cincinnati area and the author of one study told WCPO that every use of force incident is unique. So, it is still difficult to pin down the underlying factors that prompt an officer to use force in one case, but not another. Kroger said he didn’t give a verbal warning of the Taser because he thought the teen might have a weapon and didn’t want to give him “time to react.” It also appears from his body camera recording that Kroger didn’t know Lee’s son had an injured shoulder for about 15 minutes following the arrest. The Lees were upset that their son was detained even though he didn’t match the description of the felonious assault suspect. Mrs. Lee was surprised when Kroger fired his Taser a second time. Lee said he has family members who serve as police officers in other cities and he appreciates the difficult circumstances they face. But he also questions how much of a threat his 130-pound son really posed to Cincinnati Police on the day he was arrested. And he’s bothered that they didn’t seem care about his injury.